Turkey’s Undersecretariat for Defence Industries (SSM) selected Aselsan to develop and produce the Helmet Integrated Cueing System (HICS) for the Turkish T129 tactical reconnaissance and attack helicopter. Used for situational awareness and weapon cueing, the HICS system will incorporate latestgeneration image intensifier tubes for tactical night flight. The wide-field (40°) binocular cueing system will display flight and targeting data, as well as symbology, on the pilot’s visor, and will project images from other sensors, such as high-resolution FLIRs. Thales has been selected as Aselsan's main partner. Aselsan will have overall responsibility for the HICS and will develop the associated Electronic Unit and Software that integrates the head tracking and symbol generation systems. The HICS system could be proposed for Turkish armed forces transport and combat helicopters, as well as for other nations seeking to acquire the T129, in addition to future platforms. TopOwl delivers outstanding performance in demanding operational missions in difficult conditions and low visibility. It provides the pilots with exceptional comfort preserving the pilot’s full movements as well as giving an overall view of the cockpit Man Machine Interface and full visibility outside the machine. 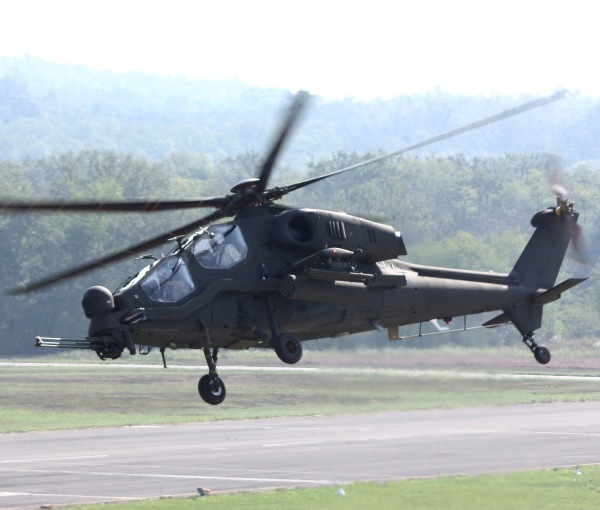 TopOwl is currently supplied to US Forces helicopters and on NH90 and Tiger Programmes.